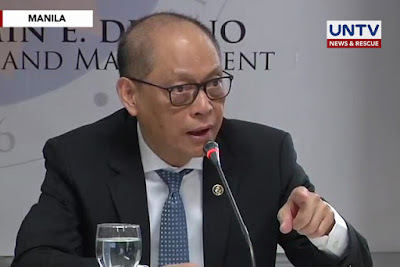 The Department of Budget and Management (DBM) will continue to release the Performance-Based Bonus of eligible government employees, according to DBM Secretary Benjamin E. Diokno. “There is no withholding of the PBB for FY 2017. In fact, the FY 2016 PBB release is ongoing and the Memorandum Circular for the FY 2017 PBB was issued last March 9, 2017. The PBB for FY 2017 will be released starting first quarter of FY 2018,” said Secretary Diokno. The Budget chief further added that the PBB has been effective in increasing compliance to good governance standards, instilling financial discipline, and improving performance management. “We were able to push compliance to budget, procurement, service standards, and SALN disclosures,” said the Secretary. The DBM has in fact recorded improvement in compliance with good governance conditions: Transparency Seal increased from 87% in 2012 to 98% in 2016; Citizen’s Charter, from 79.8% in 2011 to 99.7% in 2016; PhilGEPS, from 32% in 2011 to 92% in 2016; and Report on Ageing of Cash Advances, from less than 30% in 2011 to 97% in 2016. With the PBB, the agencies are now more conscious about budget utilization, as well as linking individual to office performance. However, Secretary Diokno explained that there is a need to review the PBB eligibility process. “We must tighten the system of granting the PBB, simplify the validation and address the unintended consequences, like the tendency of agencies to under-target. In this way, we can push for excellence in performance in the bureaucracy,” said the Secretary. The DBM and partner agencies are also studying the possibility of focusing the PBB for FY 2018 and FY 2019 on attaining process objectives and results rather than Major Final Output (MFO) targets, in keeping with President Duterte’s order to streamline frontline services and reduce administrative burden. “We are also thinking of rewarding agencies for management improvements in planning procurement, and financial management to improve their absorptive capacity and deliver more services in line with the Philippine Development Plan (PDP),” added the Budget chief. The proposed changes in the PBB will be discussed with the members of the AO 25 Inter-Agency Task Force and other concerned agencies. For more information, visit www.dbm.gov.ph, or follow @DBMgovph on Twitter for updates. 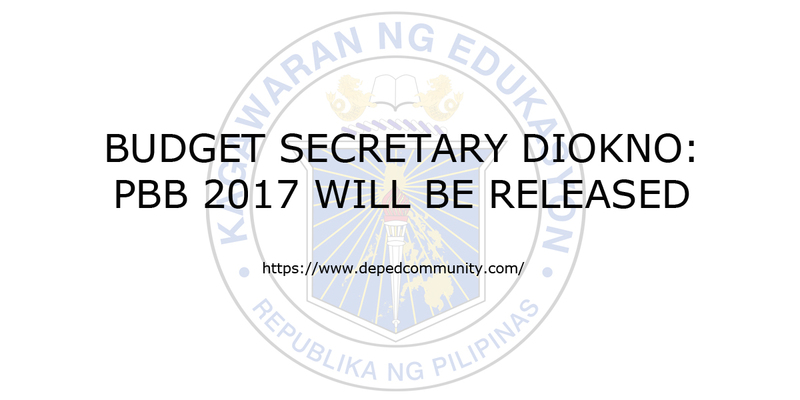 Sec.Diokno release nyo na po ang PBB 2017 ng mga teachers. Kailan po kaya ang release???? Nakakalungkot sa mga new public school teachers ilan buwan ang bibilangin bago makatanggap ng sweldo. I thought the dept. empowering the teachers to be loan free? E start plng nila magkanda utang na kasi ang tagal bago sumahod. Pagprivate institution DOLE na agad pag Gov. Employed saan mag reklamo? Ang sasabihin antay lng matatanggap din nman, di ba mali ang kalakaran na ito. Wala na pagbabago? kahit mag transfer ganun din matagal ang sweldo. Sana nman matigil na itong gawaiin na nakasanayan na. Take note pag sumahod naman may bawas pa ung matatanggap. Kalakaran din po ito o kasanayan na? Susungitan at pag iinitan pag nagreklamo? Kalakaran o kasanayan?